Irma and Maria wreaked havoc in much of the Caribbean leaving us with heartbreaking images of devastated homes, displaced citizens and destroyed bareboat fleets. Photos of dismasted monohulls and flipped cats have flooded the Internet, with the fleets looking more like piles of fiberglass, bent aluminum and stainless than actual pleasure boats. The charter industry has taken a serious blow, and perhaps your own plans to warm up this winter have been impacted. We will have a full examination of the damage and the plans for recovery in future posts and subsequent issues, so stay tuned. 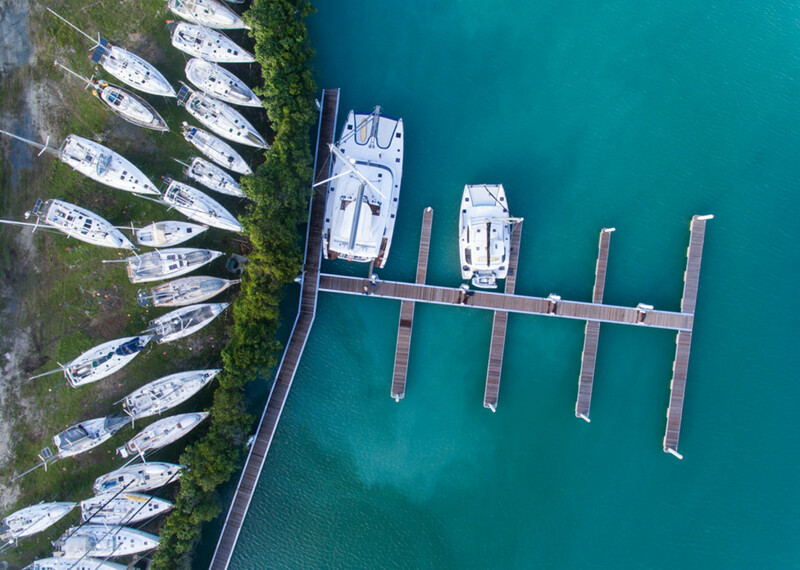 In the meantime, if you had a charter booked in St. Martin or the British or U.S. Virgin Islands, act now you can still shift to another base or look elsewhere for your annual winter sailing fix. The BVI, which is home to the lion’s share of Caribbean bareboat charters, took a beating, as did St. Thomas and St. John on the American side, and, of course, St. Martin and St. Barts farther east. However, charter companies, some of whom lost up to 80 percent of local fleets, are moving quickly to put together as much of their business as possible. Horizon Yacht Charters is offering Antigua as an option. Although low-lying nearby Barbuda all but disappeared, Antigua fared better with a serviceable airport and an intact fleet. Horizon also operates bases in St. Vincent & the Grenadines and Grenada that are farther south and less likely to find themselves in the path of a hurricane (although in 2004, Hurricane Ivan caused more than $23 billion in damage there). Dream Yacht Charter also has a number of options, and its bases in Martinique and Grenada are operational. If you can swing the new U.S. government travel restrictions, their Cienfuegos, Cuba, base is also a gateway to the beautiful islands of the south. Meanwhile, the charming Sea of Abaco may be cruised on fleets available from Dream, Moorings and Sunsail, with Moorings also servicing the 100-mile-long island chain of the Bahamian Exumas. In the Western Caribbean, bordering Guatemala and Mexico at the heart of the Central American jungle, is Belize with turquoise waters and reefs that divers adore. The Moorings and Sunsail both operate here. Heading farther south in the Caribbean, Moorings and Sunsail both have boats in dramatic St. Lucia, as well as verdant Grenada and historic Antigua. Flights to Grenada operate every day from multiple U.S. cities so travel isn’t as onerous as you may think. Of course, these are only the options in the Caribbean. Don’t forget that you have yet more choices if you venture farther afield, although there are some issues. The Mediterranean, for example, isn’t really that warm in the winter, so many charter companies close up shop from December through February. However, March and April are great times to visit Greece, Italy and Croatia. The towns aren’t packed, there’s a more “locals-only” atmosphere, the summer Meltemi wind is a non-issue and you can always find space on the quay for a Med moor. That said, although the history in Europe is omnipresent, there’s no tropical breeze, so if you’d rather enjoy winter under a swaying palm, opt for a vacation in the South Pacific. Dream, Moorings, Sunsail and Tahiti Yacht Charters all have large fleets in Raiatea in French Polynesia. Also, the Whitsunday Islands in Australia are accessible via Dream and Sunsail and you can loop around the hundreds of islets of Tonga with Sunsail. New Caledonia is serviced exclusively by Dream but just about every charter company works in Thailand. Here’s the rub: Winter in the Northern Hemisphere is summer down south and that means cyclones, which are their version of hurricanes. I’ve been to Tahiti in April as well as November and had wonderful times, but during the deep months of a North American winter, you’ll be taking your chances in the South Pacific. Also, Thailand is either wet or stiflingly hot between December and May, so there’s a tradeoff as well. Nevertheless, don’t despair, you still have options to hoist sails, have a fruity rum beverage and dig your toes into warm sand. And if you charter often, consider supporting the industry by booking a vacation soon and helping them get back on their feet with new fleets that are bound to appear soon.